Christopher Hochstetler leaves Ohio after a family tragedy. He is heartbroken and overwhelmed with grief and guilt. When he arrives in Bird-in-Hand, he puts up a cold exterior and tries to keep to himself as he tries to work in his uncle's leather shop. However, that doesn't stop Emily Fisher from trying to befriend him. Their budding friendship slowly turns to love when Emily and Chris share their secrets with each other. Emily decides to make a quilt as a token of their friendship, however Chris leaves for Ohio after a family emergency without telling Emily. When Emily sends Chris the complete quilt, would Chris be able to accept the token of her love? Will Chris join the church so they can be together? The third novel in the series was beautifully written and fun to read. I like that the author included a family tree and a dictionary for Amish translation. 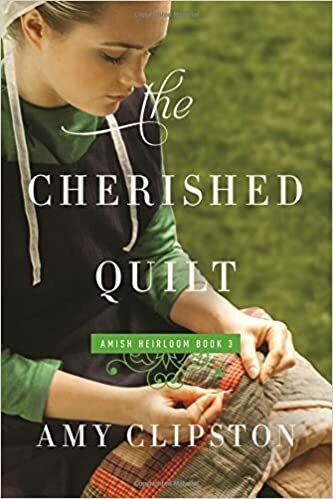 My only qualm with the novel is that I felt like the quilt was an afterthought and not much of the story revolved around it. A good read for anyone who likes happy light reading Amish novels.